Styled with gibbs t-shirt . 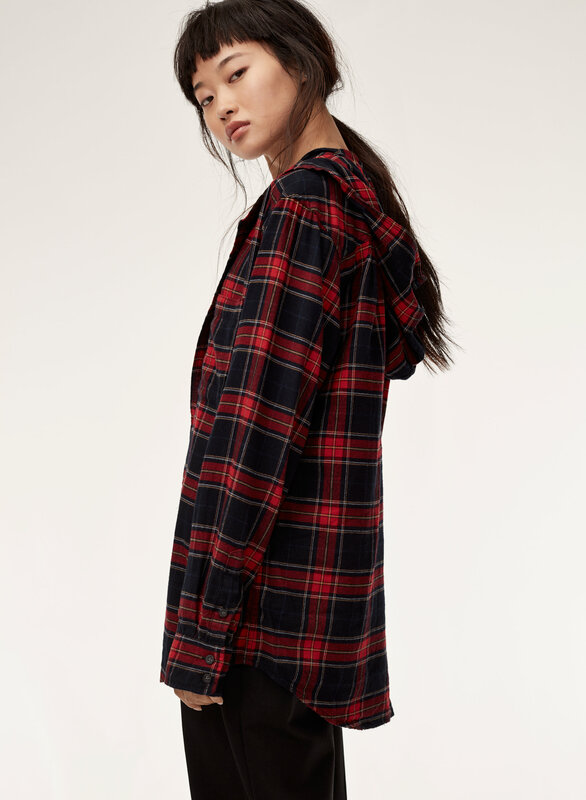 Grunge up your favourite slip dress or tee. 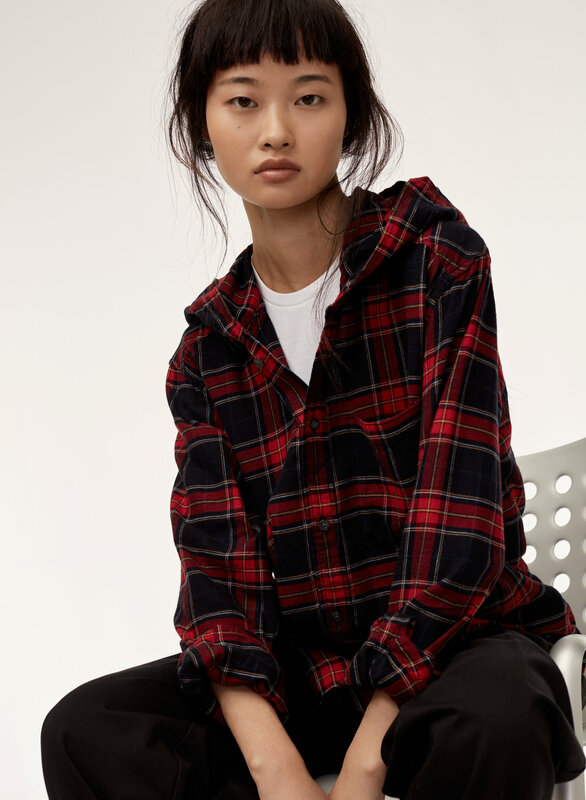 The relaxed fit and ultra soft feel make this the ideal layering piece. The colour and fit are great, but the fabric is extremely wrinkly and super thin. Expected something a little more for the price! 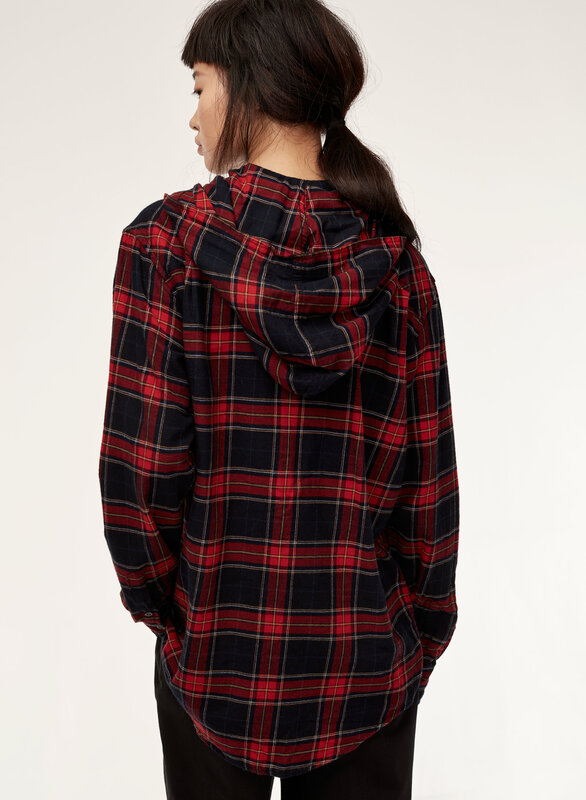 I think I have about five hooded flannels from Aritzia - a few different versions, though. This is one of my favorites because of the fit and the material. I ordered a different version in the past that was a bit short in the arms and a little boxy. (I don't have particularly long arms.) 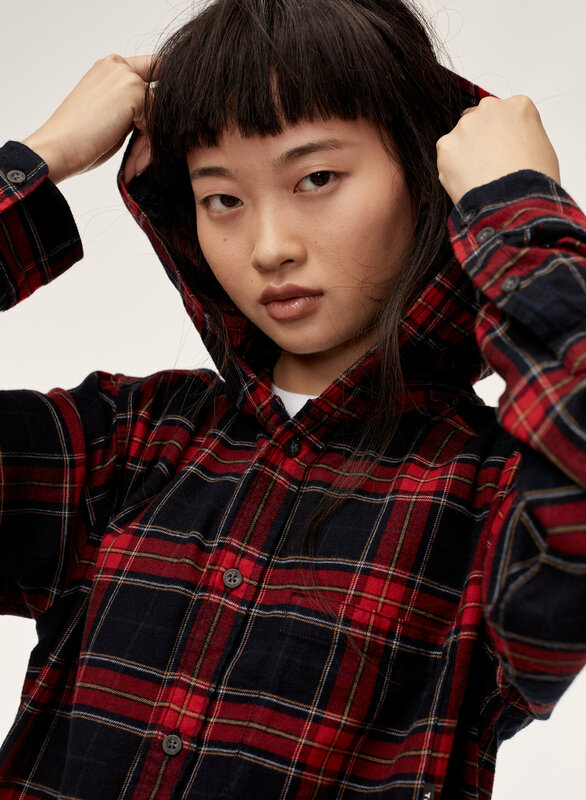 The material on most of my other flannels has become a little rough after washing according to instructions, and they have also pilled. I find that I'm not reaching to wear them as often as I like because they're not very soft. 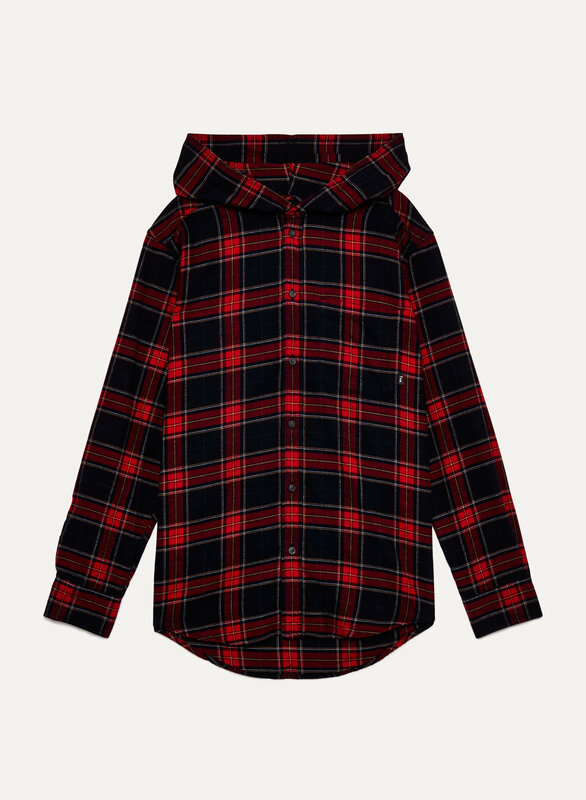 This one has fabric that is a little thinner, still soft, and will wear better than the others. It's a little roomy and lengthy, but I think it's the way it's supposed to fit and I happen to like it that way. 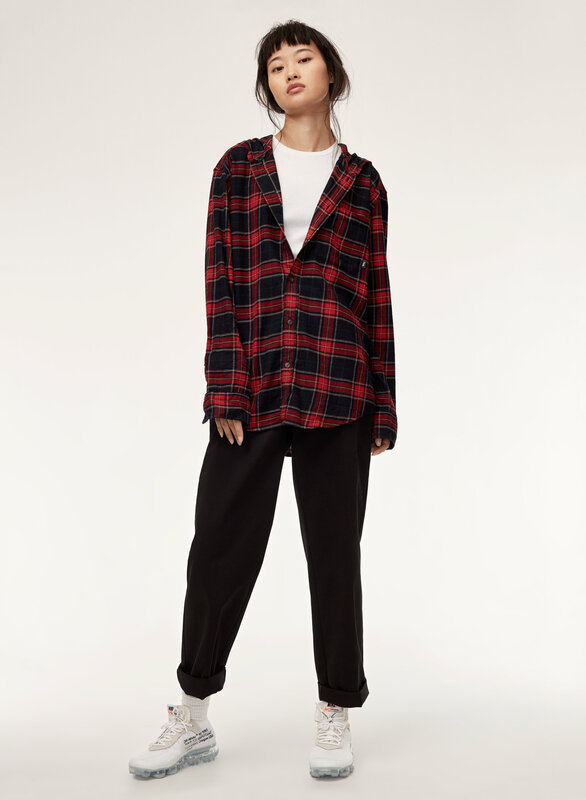 I am usually between a small and medium, mostly smalls at Aritzia. I purchased a small and it fits me the same way it does the model. In the picture the shirt looked like a bright red, it is a dull red and I didn’t like it. I have the same shirt in grey and black and love it. This shirt is soft and comfy! It is exactly what I was hoping for when I ordered it. The only negative for me is that the TNA tag on the front is a bit too obvious with the white writing. I would have liked it to blend in more with the dark colours. I may just cut it off ;) Otherwise, I love this top!